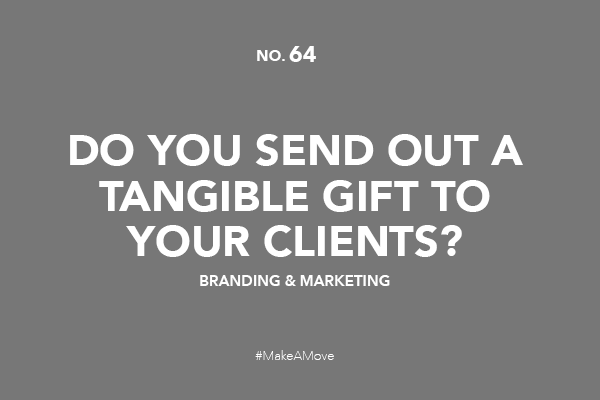 Do you send out a tangible gift to your clients? Who wouldn’t appreciate receiving something thoughtful and unexpected? One simple way to wrap up a project on a high note is through a meaningful gesture or gift – a way of saying thanks. This is just one way to create a more meaningful, lasting relationship with your clients – one that can result in referrals, other important connections, as well as future projects together. How do you let your clients know you appreciate them? If you haven’t already, SIGN UP & JOIN US: Make A Move – Walk w/ business-minded ladies & gents. © Copyright K.HAGGÅRD DESIGN 2018.